Human actions and behaviors are backup by power that trigger their emotions. 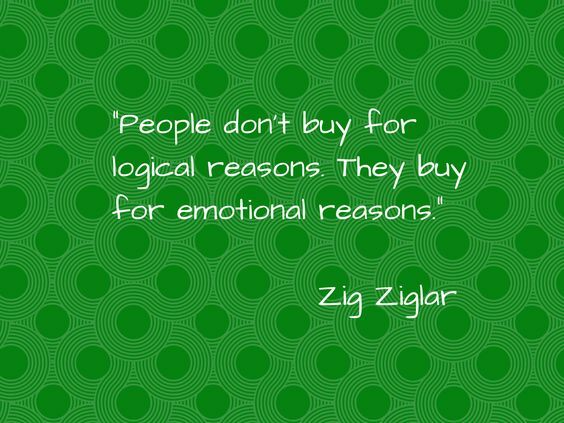 And that make it the reason why understanding prospect psychology is vital in any conversion. People go online when they have a need. And ability to know how they can be influenced in that environment is the key to have them visit your site. For conversion to take place you have to know the psychology that make prospects think, feel, reason, and select between different offers. But remember, prospect motivation and decision are different. Their level of importance or interest place on product or services they are looking for is different. Which mean their level of need for satisfaction and impacts is the determining factor to their conversion. Now let’s dive into it to known what to do. An advance marketing campaign strategy base on consumer psychology is essential in convincing and converting prospects into customer. And been able to meet with the prospect expectation and benefits is one of the basic tools needed. The process via which prospect select, secure, use, and dispose products and services play a vital role in any campaign. The stage they buy? Why they buy and not buying (instantly or later) is another thing to look into. Remember, prospect motivation and decision differs at each stage in marketing. Understanding their stages is important so as to tailor the necessary support that will drive them to the buying stage. Every prospects need a better understanding or information at each stage. Ability to be able to study them, give support and needed information can be the starting point that can trigger their buying decisions. That’s why understanding Conversion Strategies in Turning Prospects to Customers is vital for a successful marketing. 1. What brand in a given product category do they know, or series of purchase experience do they have? 2. Whether, and if so, how many times a prospect have seen your ads in question or a competing one? 3. What advantage does your brand have over a competing one in terms of sales and benefit? 4. Does your brand have a secured and preferential treatment or display to attract them? 5. 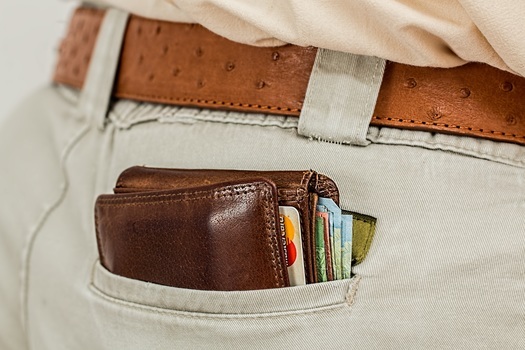 Does your brand have an impact on their income on purchase patterns? 6. Do you give coupon for “Per Purchase” or “Per Transaction” and, if so, what’s the value? 7. What platform and how effective is your brand support, are they self-direct? 1.What brand in a given product category do they know, or series of purchase experience do they have? Experience is a great teacher and something we cannot forget as human. As human a good quality brand experience always sticks to the mind. Even if another brand is introduced with the same quality skepticism will still set in. You will only go for another option if the initial brand is off shelf or you find it too expensive to afford. Now, if the new brand happen to meet with the expected result like the former it might now become your choice. So, if your brand fall to that category with same utility with the existing brand or even better then conversion will taken place. But if it doesn’t it will be difficult for your prospect to resonate with you. Assuming it does, leverage on it as a starting point in your campaign by making it a clear and compelling benefit. If your prospect know these benefits it will be easy to have them converted. 2. Whether, and if so, how many times a prospect have seen your ad in question or a competing one? Two methods work well for this strategy, they are Remarketing and Content Marketing. 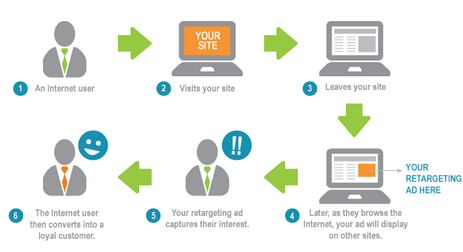 a. Remarketing is a powerful method and platform that create awareness easily. Most times prospects are driven by their past experiences. What they’ve seen regularly easily register in their mind and that’s what facilitate their decision to buy when they are ready. b. It been proven time and time again that content is king. Content is a very power tool to leverage in marketing. 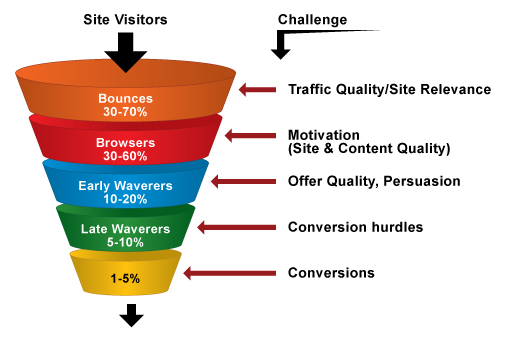 As you know conversion is not a moment thing, it is a process that requires optimization. The process is delivery of quality and helpful content periodically to educate and enlighten prospect. It helps to build relationship and trust. By delivering periodic quality content to nurture prospects make your brand remains at the forefront of your prospect minds. Re-engaging prospects through multiple touch points across your marketing channels necessary for their conversion. Always make sure you’re communicating efficiently and via the device they read your content from. The aim is to keep them coming back to your website for more information. You can do this through email marketing, social media or remarketing campaigns. Every prospect patronizes brands that adds values to their lives and business. Most prospect don’t buy for a quick fix or sub-part product. The physiology behind this is delight. Will the delight be a short term or long term? Can they trust your brand? How about the quality? This thought are always in the mind of prospects when they come in contact with new product. Also some prospects put their social lifestyle in consideration when it comes to purchase. What will their friends or people around them say when they see them with a particular brand. Does your brand have a better competing features and benefits to answer their question? If it does leverage on and if it doesn’t improve it. Most prospects are been careful when they visit site for the first time, it look sketchy to them until you prove otherwise. Their thought mostly is: Do they care about me? Will they understand me? Is this brand designed for me? Etc. Even if they resonate how safe are their data and credit card details. If your site is not showing that you care for them it’s a sign of segregation in future. But if all you do is for them and about them they will resonate with you. Emotional ads that shows that you care will make you have an edge over your competitor. A very good ad example is the Procter and Gamble ads about girls. Another good strategy that always build trust is showcasing testimonials from existing clients. 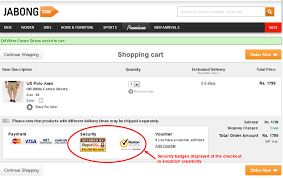 In addition you can put brand trust on your checkout page with security guarantees and badges. This shows to your client that you can be trusted. It is always windy to have a paying customer, but if you get to know about what they care about and give them the access to all that they need to take decision it will be easy to convert them. Most times, prospects purchasing patterns are influenced by their disposable incomes which in most cases are affected by general economic conditions, level of employment, salaries and wage rates etc. If your brand can tailor to fit prospects needs without compromising quality, no matter how tight it is most prospects will find a way to accommodated it in their disposable income. 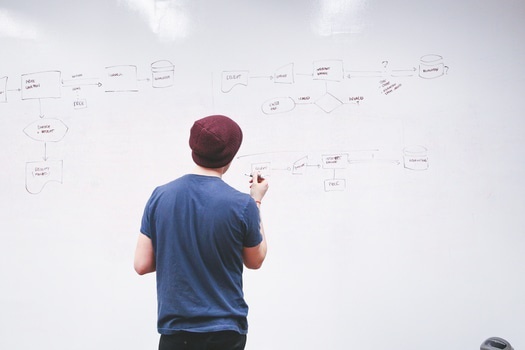 This strategy work well if your product has a free trial to generate free sign-ups. This can be use as a tactics to convert prospect by leveraging on their emotion (personal feelings and experiences) that will trigger them to buy. At a point they will be committed to deal with you by buying your product though time may vary. But if they take good hard look at what they want to spend their money on, if it won’t add value to them or their income they will opt out. So, conversion will only happen when your product or service fits the needs of the prospects, add value to them or their income and can be accommodated on their disposable budget. A product of high quality and affordable price can strike an emotional chord with a prospect. If you can back it up with curiosity, amazement, interest, astonishment, uncertainty, and admiration you stand the chance of winning the prospect. The key is to speak to them with an emotional message without being salesy. 6. 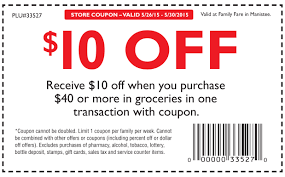 Do you give coupon Per Purchase or Per Transaction and, if so, what’s the value? Coupon is a free money that product owner give to entice people to buy their products. It’s also way to save when shopping, and it is easy to use. It have guidelines to followed and observed by the giver and the receiver. The reason is to ensure that everyone have the opportunity to purchase products at great price. It is a strategy to emotionally connect with prospects to trigger them to buy product or services. Majorly there are two type “Per Purchase” or “Per Transaction” with terms and value attached to them. These terms and values are what determine if a prospect will be interested or not. Their terms and values must be known. For one coupon per purchase means you’re using one coupon per item being purchased. You can use multiples of the same coupons as long as each coupon has a matching item. And for one coupon per transaction means you can use only one specific coupon per store transaction. You can’t use more than one same coupon, even if you’re buying multiple items. Some of these terms will specify that if an item is purchase and return you’ll receive a refund for the amount you paid for the item plus the amount of the coupon. The amount of the coupon may be refunded in the form of a GiftCard. While other term will says you’ll receive a refund for the price of the item, minus the coupon value. This tricky word is what most prospects often mix up with. Define yours clearly by providing cues that is awesome to make them resonate with you. Many market treat their prospects like clicks not human and that’s why most of them are not making sales. They’ve forgotten that aggressive sales pitches don’t move prospects any more. 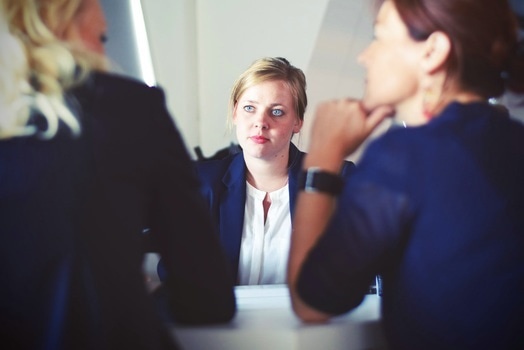 Communicating with prospects using information that they are looking for can create trust. If you get them at their point of intent, use inspirational strategy to make them listen to you. Though there are wealth of resources for information available to them online but, always be the first to connect with your prospects when they needed information. You can use amazing and high quality contents through your blog or website to reach to them. Most prospects value their time, that’s why some prefer to have guides in simplified form. Always provide high quality content material to establish your rapport with them. It not all prospects that will want to be tutored on phone through customer care anytime they need information. Emotional connectivity usually makes a world of difference to convert prospect into customers. To understand Conversion Strategies in Turning Prospects to Customers, pay attention to what your prospects care about and what will incentivize them to do business with you. Find out what they find valuable in your brand and listen to what they are saying or information that they are looking for. Get to know the kind of issues they’ve encounter or may encounter in their buying process and fix them. Finally, make sure that every stage of your communication with your prospect prepares them to be more interested in your brand. Do let me know your thought is about these tips if they are valuable. And please share this article with your friends if you find it valuable. That’s why it’s best to have a strategy prepared, glad this article helped clear things up.